Get officially licensed gear and pet-wear at the Branded NFL Kickoff of Pet Fashions. A close look will reveal broad team coverage, no matter what your pet’s favorite. And while not NFL, even Penn State gear was available. 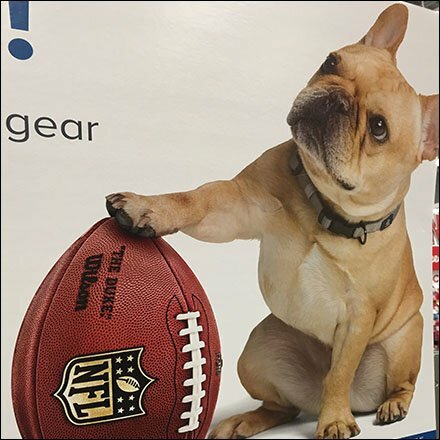 Take a quick browse for yourself in the Branded NFL Kickoff of Pet Fashions gallery. Componentry is All-Wire Right-Angle Scan Hooks, but in this case all deployed without Label Holders.